From my house to yours, Happy Thanksgiving, even if it’s not your holiday! 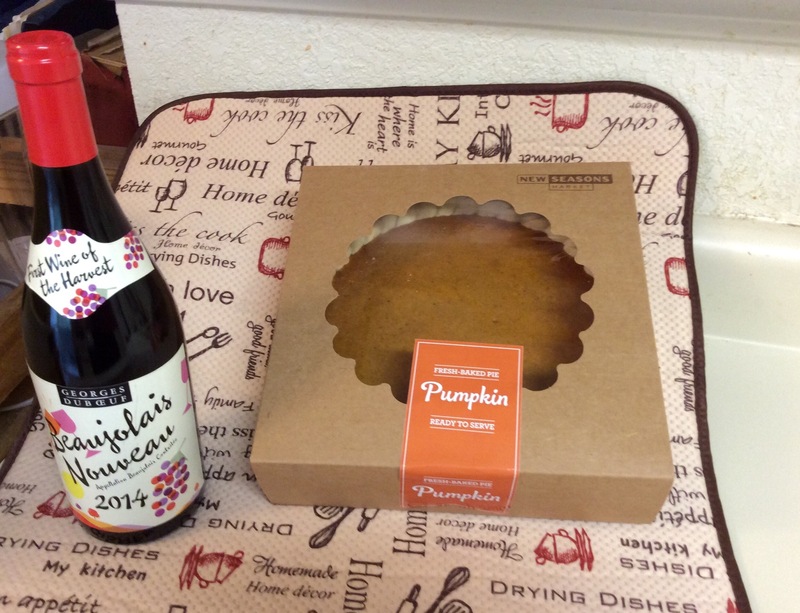 Here is a link to information on the first Thanksgiving from food timeline. Thanks also to all of you who follow my blog,it’s nice to share with you news on a topic I love. The Archaeology News Network: Latrines, sewers show varied ancient Roman diet. 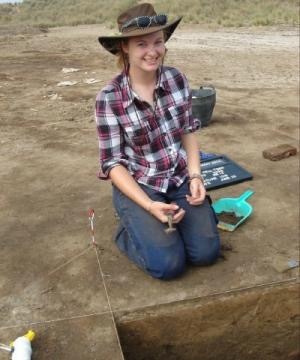 Finding a cache of 2200-year-old coins buried in the remains of an Egyptian house sparked honours student Liesel Gentelli’s interest in coins, inspiring her to pursue postgraduate studies in forensics. Ms Gentelli is one of two UWA archaeologists invited to excavate Tell Timai, the remains of the Greco-Roman town of Thmuis in Egypt. A tell is a large mound formed by the remains of an abandoned town or city, and Thmuis was a port on a former Nile delta channel which has since silted up. She says the coins she discovered during the dig were probably votive offerings placed under the building’s foundation to bring prosperity to its inhabitants. The cache included 13 individual coins from the reigns of Ptolemy II, III and IV, making the building no older than 221 BCE. 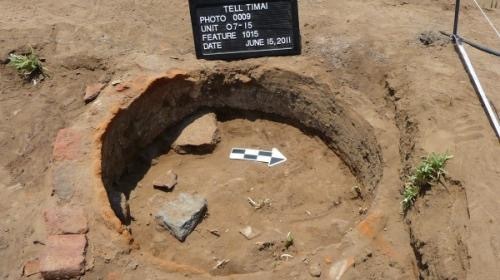 The University of Hawaii invited Ms Gentelli and UWA archaeologist Sean Winter to participate in digs at the tell, which is threatened by encroaching developments. Dr Winter was part of a small international team working at another part of the 91ha site which appears to have been a large open-sided shed. He says they found an unusually large number of baker’s ovens for Egypt at that point in time, indicating the building may have been an industrial-scale bakery or perhaps a tavern. “Nowhere in the published literature can we find an equivalent number of ovens in the same place,” he says. They used the remains of ceramics, coins and charcoal to date the building to between 100 BCE and perhaps 10 CE. Of particular interest is the former building’s rubbish pit, from which they identified mammal, bird, fish and mollusc remains. Together with remains of amphorae—large stone urns used to transport fish sauce, wine, oil and the like—they built up a complex picture of Thmouis people’s dietary options and sources. He says oysters, for example, swam up the Nile from the Mediterranean. The researchers inferred this by comparing the oysters shellfish assemblage with others, including specimens from the former Red Sea port of Berenike. “At that site all the shellfish were derived locally and comprised species that came from the Red Sea,” he says. He has written a paper, “Food Consumption During the First Century BCE at Thmouis” with co-authors Colleen Westmor and Courtney Bobik, which is due to be published next year. More information: Winter, S., Westmor, C. & Bobik, C. (In-press). “Food Consumption During the First Century BCE at Thmouis.” In Pinarello, M., Woo, J., Lundock , J. & Walsh, C. (eds.) Current Research in Egyptology 15. Oxbow. in Temanggung regency, Central Java, has again proven its position as home to one of main archeological findings in Indonesia after archeologists from the Yogyakarta Archeology Agency found the fossilized remnants of staple foods, comprising maize and rice, still inside a bamboo basket at the site. The archeologists said the finding indicated that Indonesia had long been part of an international agriculture network because maize was not endemic to Java and at the site they had also found many artifacts from other countries, especially China. Head of the Yogyakarta Archeology Agency, Siswanto, said the findings proved that agricultural produce had been one of the primary commodities traded between Indonesia and its trade partners. “The finding is also crucial to help us trace the history of food cultivation and technology in Indonesia, especially in Java,” said Siswanto, who spoke during the opening of the 2014 General Soedirman University (Unsoed) Fair in Purwokerto, recently. During the excavation, the archeologists reportedly found fossilized maize and grains of rice in Liyangan, Purbosari village, Ngadirejo district, which is located 7.5 kilometers from the peak of Mt. Sindoro. It was believed that the fossilized staple food grew between the eighth and tenth centuries, during the era of the ancient Mataram kingdom. Siswanto said the excavation took place on a plot of land approximately one hectare in size. At the location, the archeologists also unearthed a temple and 40 ancient Chinese vases dating back to the Tang Dynasty. 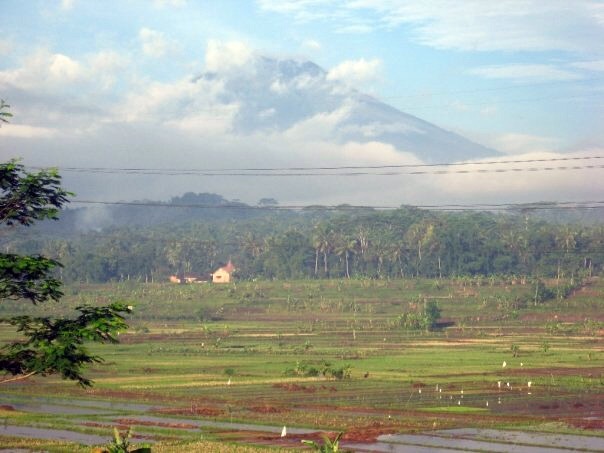 Liyangan is a residential settlement in Temanggung at which archeologists had previously found many important archeological objects. Ming culinary culture: it’s all very beautiful, but what did they eat? Just perfect for ancient foods. 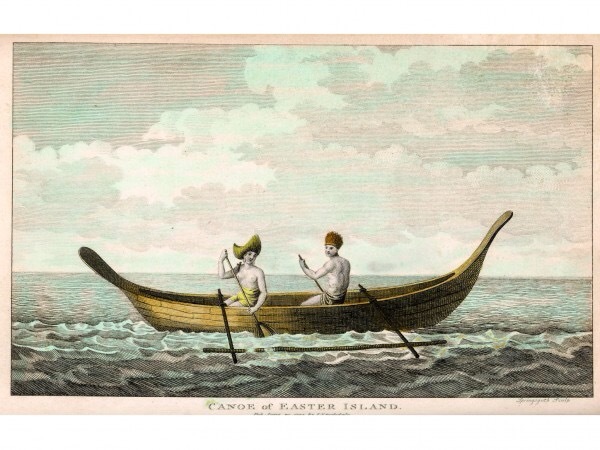 Wooden canoes like this one from Easter Island may have brought Native Americans and Polynesians together. Ancient Europeans remained intolerant to lactose for 5,000 years after they adopted agriculture.